This is the number one rule. The bath must be hot and filled to the brim with bubbles! For this bath, I firstly used Laura Mercier’s Ambre Vanille Honey Bath, and it smells beautiful. The product itself is so smooth and creamy and fills my bath with beautiful bubbles. I love the little honey drizzler that comes with it as well, so cute! I then used The Experimenter bath bomb from Lush, this is what created the incredible explosion of colour and the smell is incredible; warm, slightly spicy with a popping candy element. This bath bomb lasts for ages and left my skin feeling wonderful! Let the aroma of a candle fill your bathroom with its enchanting scent; it really helps to set the atmosphere. 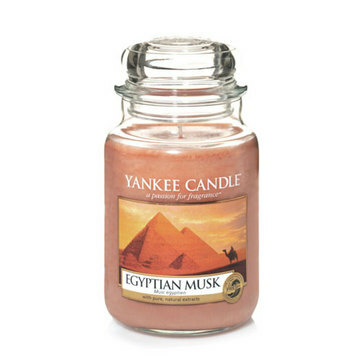 My favourite at the moment is Yankee Candle’s Egyptian Musk. This scent is soothing, musky and the only word I can really use to describe it is dreamy. It’s so clean and fresh and one I love to use on a Sunday night. and hey you’ve earned it after a long week! After a little while in the bath and my pores have had time to open, I pop on a face mask. The Body Shop have released a new range of face masks, and I was very excited to try them, I decided to get the Himalayan Charcoal Purifying Glow Mask. This clay mask is infused with bamboo charcoal, green tea leaves and organic tea tree oil making it a little tingly on the face. It’s 100% vegan and applying it with their Brush makes sure I get it in the right places and creates less mess, it left my skin so soft and purified. 5. Scrub a dub dub! Exfoliating helps to remove all the dead skin cells on your body. Try to do this at least once a week and in the bath, is a great time to do this. At the moment I’m loving the Smoothie Star range from Soap and Glory and this is their Breakfast Scrub. This range smells incredible! A mixture of pistachio, almond and sweet vanilla, it’s subtly sweet and is great for these winter months ahead. Now comes the time to give yourself a good wash, head to toe. In the same range from Soap and Glory comes the Whipped Clean Luxe Cream Shower Butter. This is an in-shower moisturiser and is amazing, it kills two birds with one stone. The smell is great and really leaves your skin silky smooth. If you’ve already used the in-shower moisturiser then you can skip this step or do an extra moisturise session to really feel great! I like to use the Smoothie Star Lightly Whipped Body Buttercream from Soap and Glory as I’ve used the range throughout. The name for this product is spot on as it looks and smells just like fresh vanilla buttercream. This is one of my favourite products across the whole Soap and Glory range. I hope these steps and products help you to have a truly relaxing Sunday Night pamper sesh, ready for the week ahead! What are your pamper session must haves? Have a beautiful week!